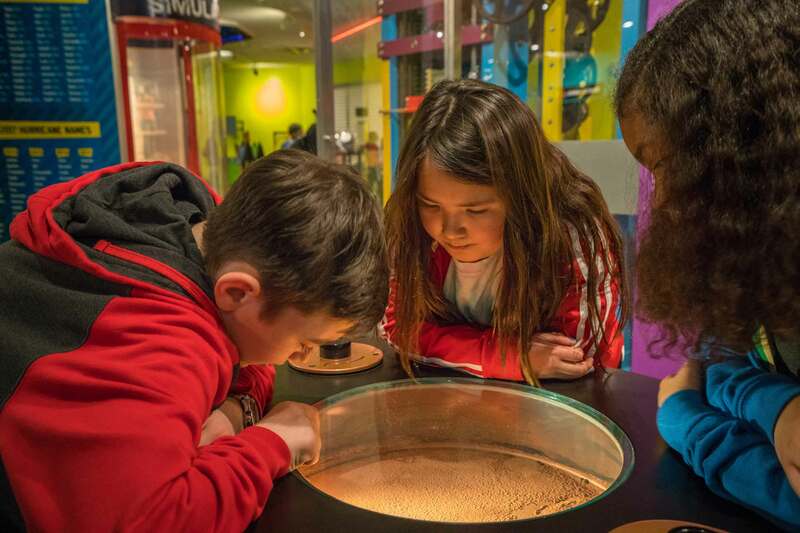 Fourth graders at Edlin have so many opportunities to experience enriching exciting field trips, but the one they most enthusiastically anticipate is the Camp-In at the Maryland Science Center. 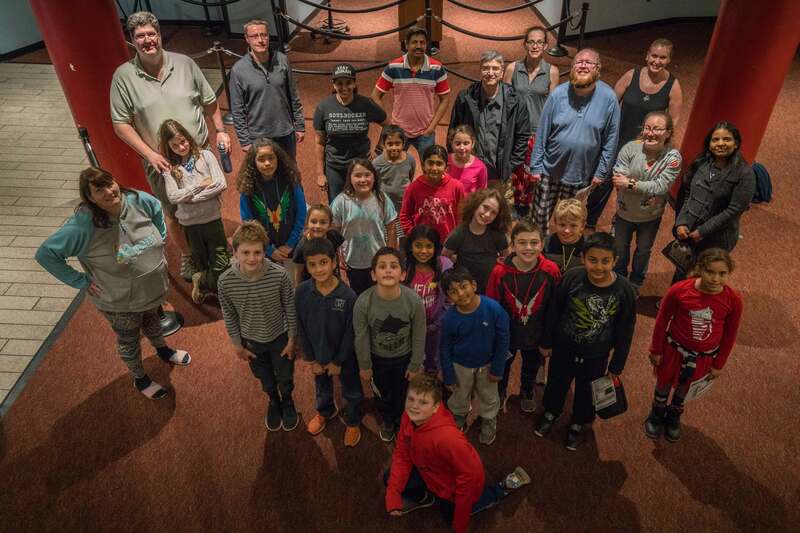 One Friday, every year, the Fourth graders pack their sleeping bags and toothbrushes and embark an overnight adventure full of exploration, experimentation, and discovery at the Maryland Science Center in Baltimore. Would this year’s Camp-in live up to their expectations? Upon arrival, after normal visiting hours, we stowed our belongings, ate dinner, and investigated the hands-on exhibits located on the museum’s first floor; Newton’s Alley. But the real excitement began at 6:30 when all the campers joined together to learn about this year’s theme, forensic science, and the schedule of events for the Camp-In. 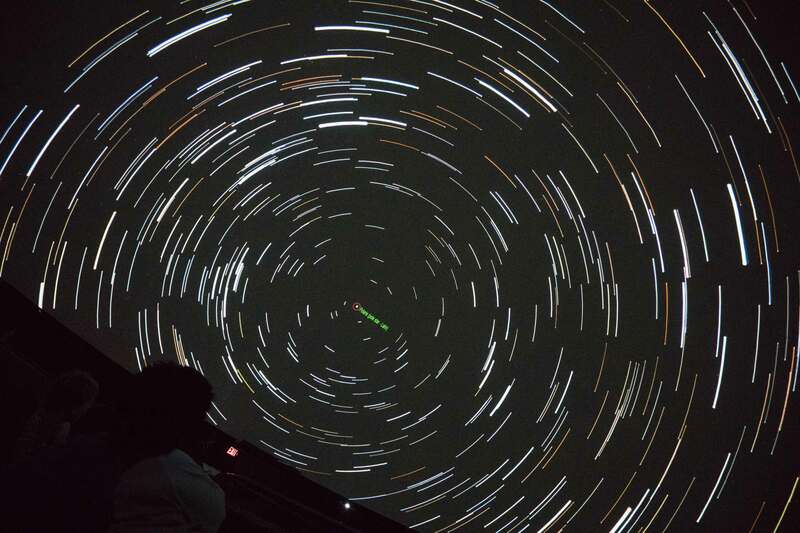 Our first activity for the evening was a trip to the planetarium, where we gazed at the stars and learned about the constellations. Just as the presentation was wrapping up, we were unexpectedly interrupted by a detective investigating the case of a missing piñata. After capturing our attention, she told us of the crime that occurred at Barry’s birthday party. It was now up to us to listen to the suspects, examine the evidence, and solve this mystery. In our first workshop, Leave No Trace, we discovered the importance of even the smallest details. We poured over the crime scene in search of incriminating evidence. We learned that Barry’s piñata was discovered in a locked closet surrounded by empty candy wrappers. We found red fibers left on the closet door, and white fibers from the rope the piñata had been hanging from. We compared this evidence to samples taken from the garments of the suspects, using magiscopes. DJ Dan and Barry’s sister, Sally, were really starting to look suspicious! Following this, we went to our second workshop, Good Impressions. While there, we practiced taking fingerprints and categorized them as whorl, arch, or loop. We also made molds of different tools we took from the suspects. Would we be able to match fingerprints from the doorknob, and gouges left on the doorframe to one of the suspects? The evidence was inconclusive, but the thief had whorl prints, and used the handyman’s flathead screwdriver to break the lock! At this point we were able to eliminate some suspects, but we didn’t have the solid evidence we needed to confirm guilt. Would Your So Vein, the third and final workshop, finally offer definitive proof? We had discovered a bloody tissue at the crime scene, which seemed to be from a wound the thief received from cutting down the piñata. We tested the blood type and DNA from the tissue and compared it to samples taken from the suspects. Finally, we had a match! DJ Dan had stolen the piñata! Barry’s sister, Sally, his Grandmother, the magician, and the handyman were free to go. We could rest well in the Science Center’s exhibits knowing that DJ Dan would not be ruining any birthday parties for a long time! Before departing on Saturday morning, we enjoyed an IMAX film about scientist Fred Urquhart's lifelong quest to understand the mysterious migration pattern of the monarch butterfly. 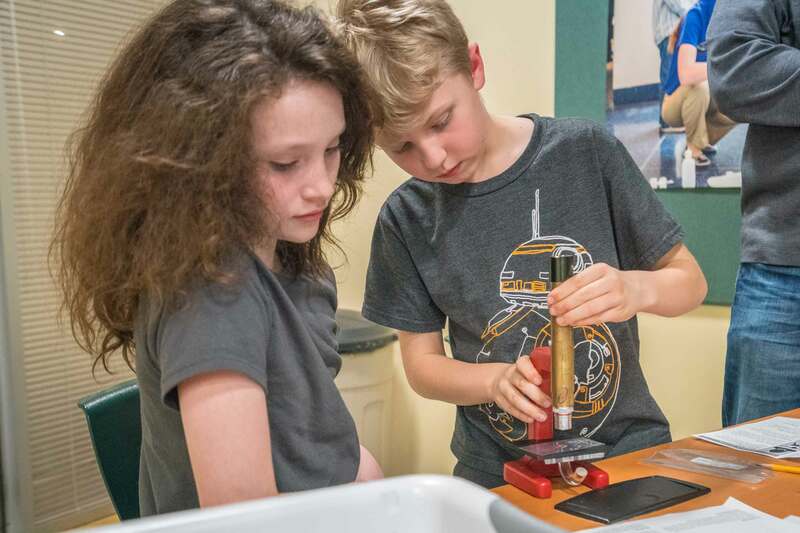 After the movie, the 4th graders returned to Edlin with memories of a wonderful adventure full of bonding with classmates and hands-on learning.